Forestry Road will be closed between Arts Road and the Biology car park on Wednesday 8 August from 6am until 6pm. This closure is to allow for the removal of containers. Pedestrian access will remain in place alongside the Forestry building – please take extra care when in the area. 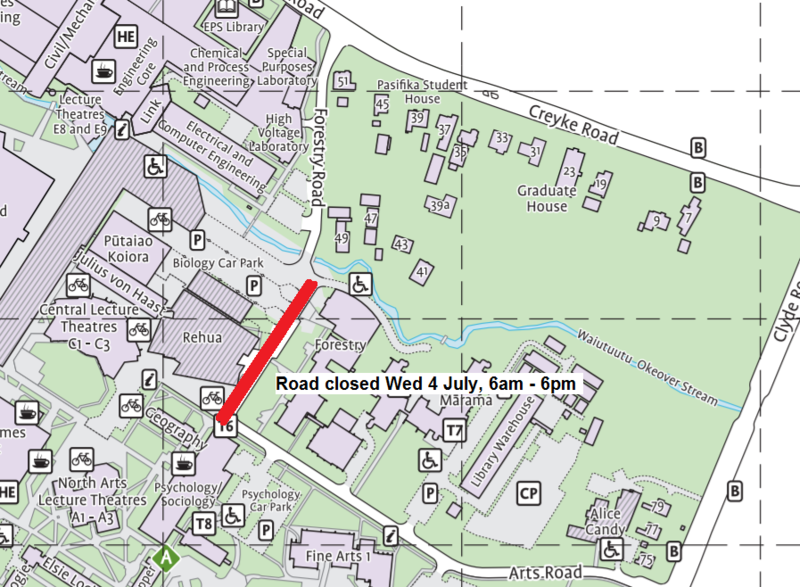 Forestry Road will be closed between Arts Road and the Biology car park on Wednesday 4 July from 6am until 6pm. This closure is to allow for work to be carried out on the windows in the Rehua building. Access to Clyde and Psychology car parks will be via Clyde and Arts roads. Please follow traffic management in place and take extra care when in the area.